Encouragement to each other through prayer and shared life experience. Revive will be meeting from September through May, with a break during the Christmas season. We will offer a variety of Bible Studies for both Fall and Winter/Spring Semesters. While we have an official registration season at the beginning of each semester, we welcome you to join us at any time! D-Group = Discipleship Group. We are women’s discipleship and Bible study groups that meet weekly in homes around the world. Imagine yourself in a group that champions you as you learn and grow, where you can also build rich relationships with others who want the same thing. Imagine feeling drawn to Scripture instead of intimidated by it or resistant to it – and not only that but imagine you can actually memorize parts of it for the first time in your life! Imagine yourself encouraged, prayed for, known, and loved by others in that group. In Isaiah 40-66 the Lord told Isaiah to speak kind words to Israel. He wanted to comfort His people with His words. After their punishment for sins, there will be great restoration for them. This study will give you a taste of the world’s future. Sweeter Than Chocolate: Hebrews 11 teaches the big picture of the Bible using God’s summary in Hebrews 11. Often viewed simply as “the faith chapter,” Hebrews 11 provides so much more as it propels readers to a quick and clear understanding of the basic biblical storyline. This application-rich study meets new students with the basics of inductive study and pushes advanced students to go even further in discovering the truth for themselves. The “Gospel of John – Believe and Live!” is an inductive Bible study that walks through the gospel of John chronologically, using additional scripture to teach who Jesus was and how His ministry leads and guides the way we live. The study includes both reference questions to further understand the scripture as well as life application questions to help apply what you learn to your daily life. D-Group = Discipleship Group. See description above. Please join us for a thorough examination of the Gospel of Mark – this Gospel is one of “action” and “activity” of the Lord Jesus. We will continue studying Mark verse-by-verse, to learn about the heart of our Lord, our Servant Savior. We will begin January 9th on Wednesdays @ 6:30 pm at the church, but any woman is welcome to join throughout the year. Free from the guilt and power of sin, but what about the flesh? Discover how justification by faith relates to day-by-day living through the Holy Spirit’s power – the amazing process of sanctification. This group is reading the entire Bible chronologically with a one year plan and meeting online to provide accountability, share insights and ask questions. You will be supported, encouraged and strengthened while going through the Bible together with other women. Click HERE to register for a Revive Bible study. Check our EVENTS page for dates. 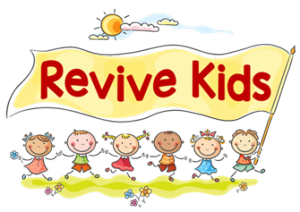 Jesus says, “Let the little children come unto me…” That is the goal of Revive Kids here at Cedar Run Community Church. We want to help lay a foundation where preschoolers know that God made them, Jesus loves them and wants to have a personal relationship with them. We are excited to continue to provide this program for our moms with children (through age 5) on Tuesday mornings.